Skin for FM 2018 regular career mode and widescreen (1920x1080). 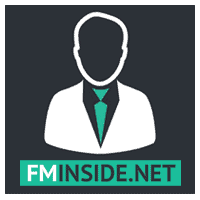 This is the first FLUTSKIN – Light, Version 1.0 for FM 2018. Once again, thanks to all FM fans and especially to all of the fantastic FM skinners who contribute a lot to produce the FLUTSkin as it is today since FM 2013. Instant result button, background selector and TV logo Selector. Option to use Personal Manager Photo. Compatibility with DF11 and Scope Faces. A special thank you to all great skinners who indirectly contributed to FLUTSKIN and a very special thank you to PATRES10 for the 2D default kits (especially tailor-made for FlutSkin). As always FlutSkin is completely free to download and I hope you enjoy it. However, this year, if you want, you can reward my work donating whatever amount you wish. Any small amount is really appreciated. Start FM18 and go to Preferences screen and then into the Interface tab. You should see FM 2018 Flut Skin dark - Version 1.0 as an option in the skin drop down of the Overview box.